If warm tropical breezes and stunning sunsets are your idea of the perfect vacation, Islamorada is the destination for you. 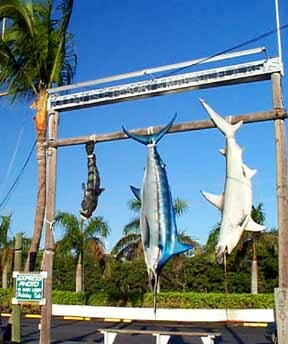 Located in the Florida Keys, Islamorada is home to some of the best sportfishing, scuba diving, and watersports in the world. But the fun doesn't stop there... Waterfront restaurants that serve fresh seafood and exotic frozen cocktails abound, and nowhere is the pulse of these exciting islands more evident than at their non-stop late night parties and clubs. Islamorada offers visitors a full range of lodging options from full service campgrounds and roadside motels to world class resorts with on site amenities like boat dockage and jet-ski rentals. Dining options range from roadside grilles serving fresh mahi-mahi sandwiches to fine dining restaurants with breathtaking ocean views and succulent native lobster tails. 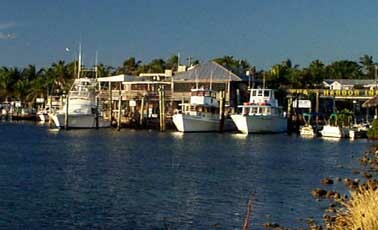 Islamorada is known as the "Sportfishing Capital of the World" and is rumored to have a larger fleet per square mile than anywhere in the world. Half-day and full-day charters are widely available and anglers can choose to fish for sailfish, tarpon, barracuda, grouper, and a host of others. Bonefish are a special celebrity in Islamorada since President George Bush began his annual bonefishing tournament at his favorite vacation spot, Cheeca Lodge. Several very competent and professional captains run charters for both deep sea and back country fishing. Visit Captain Michael at Robbie's Boat Rentals for daily trips at 9:30 am and 1:45 pm and a chance to feed the resident tarpon that inhabit the waters surrounding the docks. Diving in the waters surrounding Islamorada is world renowned, and the islands have attracted some of the most experienced dive operators in the world. If you have always wanted to dive but have never taken the time to get certified, you have come to the right place! Several of the shops offer full certification programs that can have you diving in just a few days and most of them provide equipment for a nominal fee. Been diving for years? Islamorada is the perfect destination for reef, wreck, and night diving. The underwater inhabitants that visitors can hope to see include barracuda, spiny lobster, varieties of grouper, parrotfish, and an occasional reef shark. Visit Rainbow Reef Dive Center at mile marker 84 or Conch Republic Divers in Tavernier. Both have excellent reputations and provide private and semi-private instruction. Diving and fishing are definitely the most popular water sports here but other activities attract thousands of visitors every year. 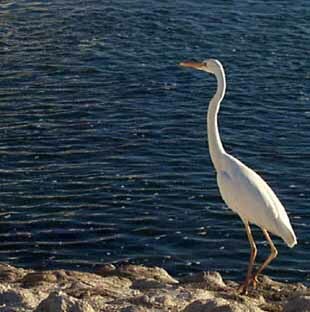 Kayaking the serene waters of the backcountry is the perfect opportunity to celebrate the native wildlife and a must for bird watchers. Jet skiing is particularly suited to these waters and boat rentals are readily available. Anyone with water transportation will want to join the party at the "Sandbar", a shallow area just offshore where young people gather daily for sun and fun. Huckleberry Adventures at mile marker 80 rents all of the most popular items, but their feature is an ultralight plane ride that offers an unparalleled view of the marine life below. Parasailing, sailboarding, and sailing are other ways to explore and enjoy this aquatic paradise and guided tours provide a relaxing option for those who prefer to simply watch the fun unfold. Sunscreen is a must here and be sure to bring a healthy appetite to Islamorada. All of the restaurants here boast the freshest seafood around including, mahi-mahi, cobia, conch, and lobster prepared island style. Lor-e-lei restaurant and cabana bar is the perfect place for a fried conch sandwich and a delicious frozen rumrunner. Enjoy their nightly "Sunset Extravaganza" where locals and visitors watch the sun dip below the horizon and listen to music by local band Unearthly Colors. Horizon restaurant is one of the best locations to enjoy spectacular views and award winning cuisine and Atlantic's Edge at Cheeca Lodge provides sweeping views of the beach and fishing pier with local specialties created by chefs who set a particularly high standard for their freshly caught seafood. 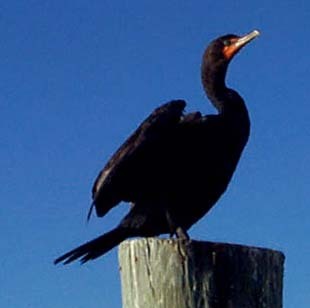 Situated next to one of the busiest marinas in the area, Whale Harbor is home to the most sumptuous buffet in Florida. All-you-can-eat shrimp, crab legs, oysters, and mussels are the main attraction at this enormous buffet that is sure to please the entire family. Attractions not to be missed include Theater of the Sea where guests can swim with the dolphins, World Wide Sportsman retail store, and nightlife action at the Tiki Bar on Holiday Isle.